I love hot cereals. I love oatmeal. I love steel-cut oats with all my heart. But they take soooo long to cook. When I’m hungry (which is most of the time) I want to eat now, not 45 minutes from now, especially when we’re talking breakfast. I can’t be the only one who wakes up in the morning feeling like my stomach is clawing its way out through my belly button in an effort to feed itself because I’ve been neglecting it all those hours I was asleep. And until I can fulfill my dream of having my very own house elf (it would be a paid position with holidays), I’m just going to have to keep doing everything myself. You will need the aid of either a food processor, a blender, or a small nut grinder (what I used), because the trick is to pulverize your oats into a flour before cooking them! Brilliant. The end result is akin to cream of wheat or grits, only when it comes to a comparable texture. 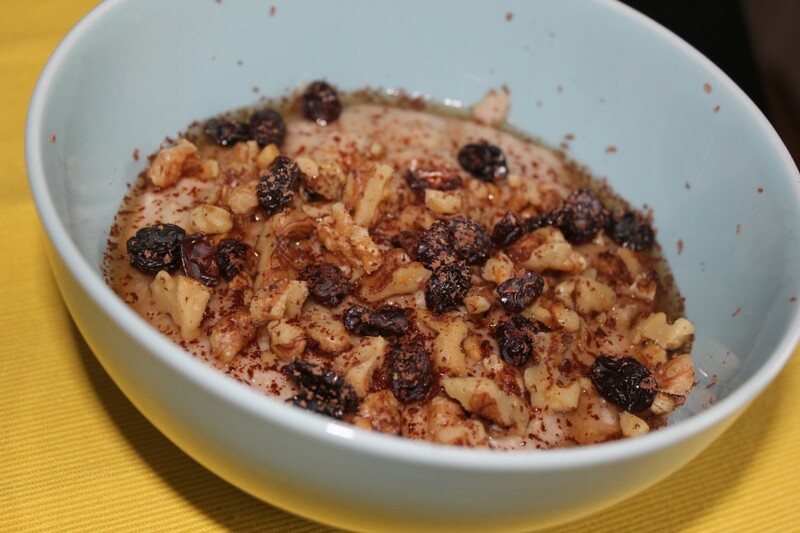 I was so impressed with the taste of this particular recipe, that it reminded me of a delicious hot cereal we were fed most mornings during our trip to the orphanage in the Dominican Republic. Sooo tasty and flavorful. The toppings – if you use any at all – are entirely up to you. 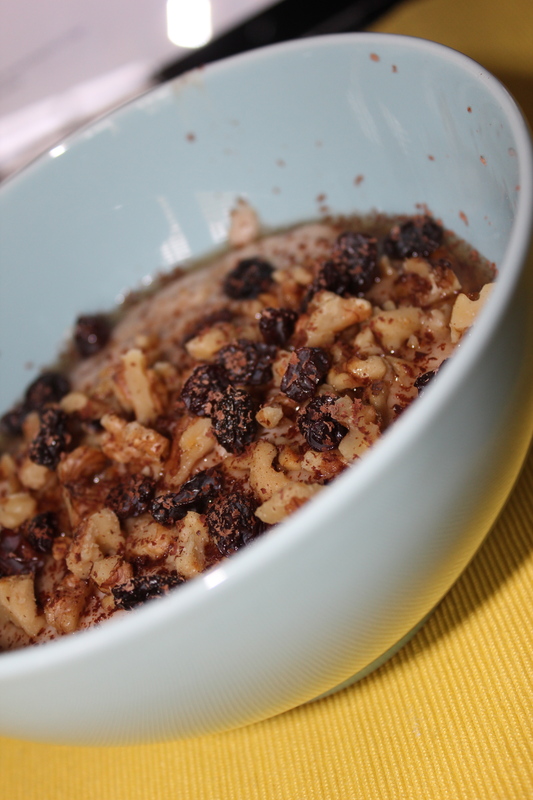 I happily dumped toasted walnuts, raisins, maple syrup and shaved chocolate on top of mine. Oh, and did I mention the banana flavor is a wonderful and subtle undertone to the entire bowl of goodness? I know Angela calls it banana bread batter, and I’m okay with that, but want to be sure you know the banana doesn’t overpower the oats. The maple syrup helps to balance and distribute the sweet flavors across your palate, so you’re not left with an overwhelming sense of too much banana that’s all up in your face. What is your favorite way to eat hot cereals? Impatient like me and want your steel cut oats when you want them? This recipe is for you, but mostly for me. 1. In a high-speed blender, grind the steel cut oats into a flour. Remove and place into a medium-sized pot. 2. Stir in 2.5 cups of the milk and increase the heat to low-medium. 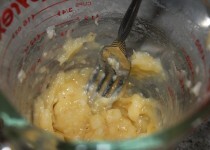 Now stir in the mashed banana, the chopped banana, and maple syrup. 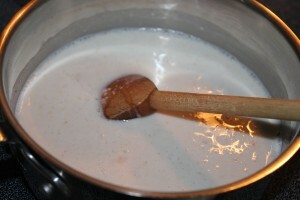 Heat for 4-5 minutes, adding more milk if desired and reducing temperature if necessary. 3. 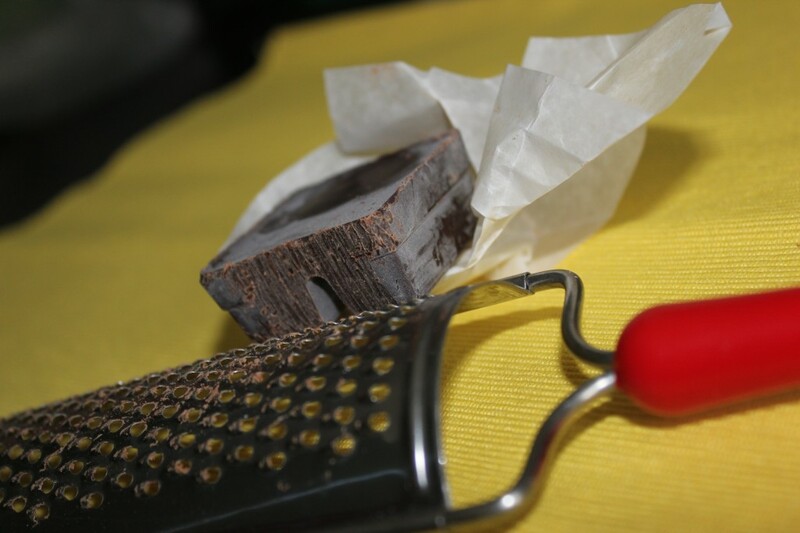 Remove from heat and stir in the cinnamon (to taste), a pinch of salt, vanilla, and dash of nutmeg (optional). 4. Portion into bowls and top with chopped walnuts, raisins, and 1 tsp of pure maple syrup per bowl.